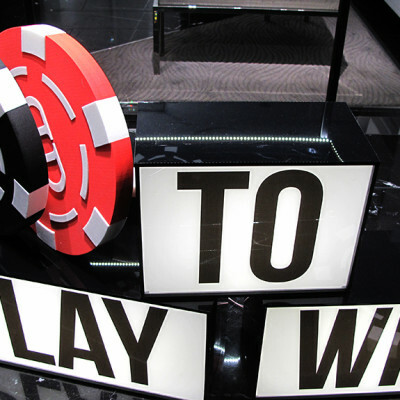 Philipp Plein created a window display called ‘Play to Win’ with Philipp Plein slot machines and poker chips. 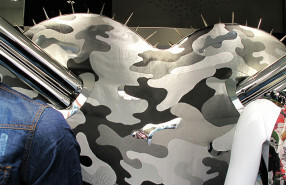 Philipp Plein Summer window display is decorated with a big ‘Army Heart’, where the army print is coming back in the Philipp Plein Spring/Summer 2014 Men collection. 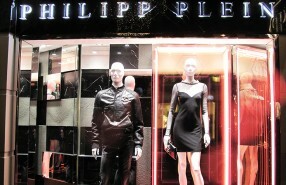 PHILIPP PLEIN goes Neon Rock ‘n’ Roll with their SS 2013 window display.